Captain Lucas Bissett of Louisiana Local Guide Service and a Louisiana native who has been guiding the marshes of Hopedale for the last 7 years. He is also an Orvis Endorsed Guide and was honored as the Orvis Endorsed Saltwater Guide of the Year in 2017. Bissett’s love for the marsh has driven him to start a nonprofit called Anglers Bettering Louisiana’s Estuaries, where he works on coastal restoration and community outreach and education projects. Captain Bissett prides himself on bringing new folks into the sport of fly fishing and teaching them the skills needed to enjoy and protect Louisiana’s pristine estuaries. Mac Brown of Mac Brown Fly Fishing & Guide School was the first full-time fly fishing guide in Western North Carolina. Educating fly anglers is Brown’s burning passion; he fulfills that role as an Associate Professor at Western Carolina University. He is the author of Casting Angles, and in 2017 was inducted into the Fly Fishing Museum of the Southern Appalachians Hall of Fame. When not on campus or on the stream, Brown teaches specialty casting classes all over the country. He’s a certified Master Casting Instructor with Fly Fishers International, and has served as a coach for multiple fly casting competitive anglers. Brown is on the pro-staff of Sage, Regal Vice, Simms, and Ross Reels, among other national brands. This year we are delighted to offer Brown’s “Advanced Fly Casting for Instructors” class. This specialty class will be held at the festival hotel on Friday, the day before the festival. This day-long class has very limited seating and includes a weekend pass to the festival. Brown will also be speaking at the festival. For 30 years Blane Chocklett has fished and guided Virginia’s famed rivers, including the James, Roanoke, Jackson, and New. He has chased trout, stripers, and small and largemouth bass, and has become an authority on landing the apex predator of the freshwater world, musky. When not guiding, Chocklett enjoys tying flies and creating new, innovative patterns, many of which are sold in fly shops throughout the country. Some of his better known patterns include the Gummy Minnow, T-Bone, and the Gummy Tarpon Worm. Recently Chocklett has collaborated closely with Flymen Fishing Company to create the Fish-Spine, a series of specifically-designed articulated shanks that allow tyers to create multi-jointed, highly articulated streamers. The result is his revolutionary Game Changer, which catches both fresh and saltwater species all over the world. When not guiding Chocklett serves as a consultant and brand ambassador for a host of companies including but not limited to Temple Fork Outfitters, Scientific Anglers, Patagonia, Fishpond USA, Renzetti/RD Distribution, and Hog Island Boatworks. Be sure to say hello to him in the TFO booth at this year’s festival. Originally from Dallas, Kristian Cole attended Texas A&M Corpus Christi, where he did a lot of poling the flats around Port Aransas for redfish and fishing the jetties for Texas tarpon, jacks, Spanish mackerel, and king mackerel. He also spent time offshore working as a deck hand and fishing all over the Gulf of Mexico. Now back in Dallas, Cole is a critical part of the sales and education teams at Tailwaters Fly Fishing Company. Some of his favorite places to fish for trout are Bozeman, Montana, and Woodland Park, Colorado. Through Tailwaters he has fished Bolivia for golden dorado and is booked to Kamchatka and the Yucatan this summer. Cole has extensive experience as an instructor for anglers of all skill levels. We’re delighted to have Kristian Cole instructing beginner anglers at this year’s Texas Fly & Brew. Steve Dally was raised in Tasmania–the Australian equivalent of Montana–and shamelessly squandered his youth surfing, diving, and fishing. His fly fishing obsession was born in his late 20s, when he was first convinced to grasp a fly rod. He cut his teeth on the challenging wild brown trout and rainbows of Tasmania’s wilderness lakes and streams before moving to the US. A former journalist, Dally spent 3 years in the US as a traveling fly fishing writer and photographer, a job which saw him land, fly rod and camera in hand, in Montana, Wyoming, Alaska (twice), Baja, New York, Michigan, New Mexico, Idaho, and finally Arkansas. Dally has been guiding on the White River tailwaters and running fly shops since 2005, including Dally’s Ozark Fly Fisher since 2011. He is a Sage Elite Pro and fly designer with Rainy’s Flies. His articles and photographs have appeared in numerous publications and websites, including Fly Fisherman and Anglers Journal, and he remains a masthead columnist and regular contributor on tactics, destinations, and fly tying with Australia and New Zealand’s premier fly fishing magazine FlyLife. Working as the general manager of Gordy & Sons, in Houston, Texas, Marcos Enriquez knows a thing or two about the needs of traveling anglers. Being on the trip of a life time, but not being able to feel comfortable because you have the wrong clothes, or brought the wrong gear, can make the difference between a trip of a life time, and experiencing just a so-so get away with the occasional day of mediocre fishing. Learning how to plan your next big trip the right trip is covered in Enriquez’s class “Fishing in Cuba’s Garden of the Queen”. When not working at Gordy & Sons, Enriquez also serves as the President of Texas Fly Fishers of Houston. We are pleased to have him as a speaker at this year’s festival. Javier Guevara, an avid fly fisherman, fly tyer, and fly casting instructor, is the owner and guide of Chicago-based international fly fishing adventure outfitter Ecuador Fly Fishing Tours, Inc. Guevara also represents several North and South American lodges including Tucunare Lodge (Colombia), Mangrove King Fishing Lodge (Campeche, Mexico), and Lodge Refugio Esperanza (Patagonia, Chile), among others. He is also a field staffer and authorized dealer for Loop Tackle Design. Guevara has helped establish the growth of fly fishing and conservation efforts in Ecuador, and is an active member in numerous clubs and organizations Including IGFA, Project Healing Waters, and Trout Unlimited. If you don’t see him out on the water, you’ll find him on his tying bench. You can follow Guevara’s adventures through South America on Facebook, Instagram,YouTube, and his website (www.ecuadorflyfishingtours.com). Jerry Hamon is an avid fly angler, fly tyer, and dedicated kayaker who loves nothing better than patrolling the local waterways of Texas looking for his next trophy bass. He is President of both the Texas Council of Fly Fishers International and the Mariner-Sails Kayak Fishing Club. Hamon is serving his second term on the Texas Parks and Wildlife Department Freshwater Fisheries Advisory Committee and was recently appointed to serve as its Chairman. He’s a certified Texas Parks and Wildlife Department Angler Education Area Chief/Instructor and enjoys fishing tournaments when his schedule allows. Be sure to take in Hamon’s class “Fly Fishing from a Kayak” both days of the festival in cooperation with Mariner-Sails. Ed Jaworowski is an International fly fishing authority, writer, photographer, and editorial consultant. He has authored four books, is working on his fifth, was a contributing writer for several others, and has published hundreds of articles in more than 20 journals. In addition to the USA, many of his writings and photographs have been published in England, Spain, Norway, Germany, Hungary, Italy, and Japan. He is most noted as a casting coach; Lefty Kreh called him “the best teacher of fly casting that I have ever known.” He serves as a casting and tackle consultant on the national advisory team of Temple Fork Outfitters in Dallas. In recent years he teamed with Lefty to produce a comprehensive DVD, The Complete Cast, for TFO. Ed, who has been fly fishing and fly tying since the 1950s, has given hundreds of classes and demonstrations around the country and abroad for nearly 40 years. He has extensive experience in fresh and saltwater venues around the the Western Hemisphere, pursuing sunfish to sailfish, trout to tuna. He has been honored by several TU chapters, and was inducted into the Pennsylvania Fly Fishing Museum in Carlisle in 2014. In the same year, he received the first Izaak Walton Award presented by the American Fly Fishing Museum in Manchester, Vermont, and in 2018 was awarded the FFI Casting Board of Governors Award for Lifetime Achievement in Teaching Fly Casting. For 40 years, Ed was a professor of Latin language and literature as well as Roman history and law at Villanova University. He was recently listed by Fly Fisherman magazine as one of the top 50 influential fly anglers of the last 50 years. He resides with his wife Michele in the Philadelphia suburbs. Following careers in both professional snowboarding and business, Captain Jeff Johnson returned to his roots: fly fishing. Johnson, owner and head guide for Fly Fish Rockport, began fishing along the banks of central Washington’s blue ribbon trout stream, the Yakima, and continued to develop his technique while in college in Bozeman, where he fell in love with Montana’s Missouri River. After college Johnson returned to the West Coast, chasing steelhead up and down coastal rivers with his spey rod. Fishing has taken him to the Keys, Bahamas, and Belize–but life has brought him home to the Texas flats. Johnson’s passion for the quiet sport means that he spends more than 300 days each year in the boat with clients from around the globe, from all walks of life, sharing his expertise–with humor and patience–and helping them make memories to last a lifetime. Captain Johnson has contributed to numerous publications, including The Fly Fish Journal, The Drake, Southwest Fly Fishing, Sport Fishing Magazine, Texas Lifestyle, Chi Wulff, The Bend, Venturing Angler, and many others. He’ll be speaking at this year’s festival about fly angling for reds on the Texas Coast. Landon Mayer’s angling success is fueled by an addiction to pursuing large trout with small flies and lightweight fly-fishing equipment. Mayer enthusiastically teaches and demonstrates his techniques and on-river knowledge to fellow anglers and has developed innovative strategies for sighting, hooking, and landing selective trout. He shares these times and secrets in his books 101 Trout Tips: A Guide’s Secrets, Tactics, and Techniques; Colorado’s Best Fly Fishing; Sight Fishing for Trout; and How to Catch the Biggest Trout of Your Life, in addition to two DVDs: Landing the Trout of Your Life and Weapons of Bass Production. His articles have appeared in such publications as American Angler, Southwest Fly Fishing, and Field and Stream. As an ambassador in the fly-fishing industry, Mayer represents several lines including Simms; he is also a royalty fly designer for Umpqua Feather Merchants. He is an advisory team member of Simms, Bauer Reels, R.L. Winston, Scientific Angler, Smith Optics, Fishpond, and Yeti. We are pleased to have Jacob McGee of Alaska Trophy Adventures Lodge as a speaker at this year’s festival. Being an Alaskan fly fishing guide for well over a decade, Jacob is at home in the remote waters of Bristol Bay and is ready to share his insights on fishing in the unique and unspoiled location. Don’t miss his presentation about the world’s final stronghold of native Pacific salmon, trophy rainbow trout, and the beautiful wilderness that has shaped his life. Born and raised in eastern Washington state, Geri Meyer’s fly fishing obsession began while vacationing in Oregon’s Blue Mountains in the mid 90s. She met a fishy dude while living in northern New Mexico, and they decided to move their family to the Midwest and open a fly shop in Southwest Wisconsin’s Driftless region. Geri and her husband have owned the Driftless Angler for 13 years, and she has been guiding the area’s spring creeks for 8 years. In 2015 Geri opened Athena & Artemis Women’s Fly Shop so that women could have quality fly fishing apparel and gear all in one spot. Customers can shop online or find Geri in the A&A booth at various fly fishing trade shows during the off season. Passionately committed to introducing women to the quiet sport, Geri may be found speaking about women in fly fishing at a TU chapter meeting in the Midwest, partnering with women’s fly fishing groups, teaching at women’s clinics, and volunteering with Casting For Recovery. If you’re a lady fly angler, be sure to attend Geri’s talk at this year’s festival! Your smartphone has made you a photographer! Or has it? Most of us walk around with an extremely powerful camera in our pockets…yet we know no more about photography than our parents did. In his class, renowned fly fishing photographer and representative for Eleven Angling, Brian O’Keefe eschews confusing, technical jargon to share dozens of tips on how to shoot your best photos ever. Both phone and traditional photographers can benefit from O’Keefe’s extensive professional knowledge base. Learn what makes a great composition as well as how to handle fish less and save time. The globe-trotting presentation includes nearly a hundred great–and not-so-great–photos from the Bahamas, Alaska, Brazil, Chile, Montana, Iceland, and more. Tim O’Neill, who began fly fishing at ten, is the founder and owner of O’Neill’s Fly Fishing, an online community dedicated to all aspects of fly fishing culture. For three decades his passion for the quiet sport has carried him through many parts of the industry including retail sales, commercial fly tying, lecturing, seminar teaching, and guiding. He recently became the owner of the Nor-vise fly tying system. O’Neill’s fly fishing exploits have been published in Out and About Delaware and Delaware Today, and he’s also been a guest on NPR. O’Neill considers himself an educator first: he loves nothing better than to help others learn more about this great sport. When asked what is his favorite fish to catch, his response is always the same: “The one on the end of my tippet.” Attendees can reach O’Neill to discuss all things fly fishing at tim@oneillsflyfishing.com. Gunnar Örn Petersen was born and raised in Reykjavík, Iceland. His first childhood memories are from Lake Thingvallavatn, where his parents had to drag him to bed at midnight as he wouldn’t stop fishing. Since then, fishing, and later fly fishing, has been his passion. His guiding career started shortly after he received his driver’s license and for the first decade of this century, he spent the summers guiding for Atlantic salmon in the renown Laxa in Leirarsveit. There Gunnar learned the trade of guiding and instructing beginners as well as experienced fishermen. Gunnar is also a lawyer and practiced law for some years after graduation. However, his passion for fly fishing led him back to the river as he became a partner in Iceland’s leading trout fishing outfitter, Fish Partner. For the past few years, Gunnar has been guiding again and bringing fishermen to some of the finest salmon and trout fishing waters of Iceland. Fish Partner’s owners have over thirty years of experience hosting and guiding fly fishers in Iceland. Trout, salmon and Arctic char can be caught there in some of the most scenic places in the world. Recently, Gunnar has shared other Icelandic anglers growing concerns about the dangers the Atlantic salmon in Iceland is facing due to a rapidly growing farm fishing industry. As a conservationist, Gunnar became a founding member of The Icelandic Fly Fishing Show, a non-profit organization which has the objective of protecting Icelandic freshwater species, mainly Atlantic salmon, brown trout and Arctic char. Have you ever fished in Iceland? Be sure to take in Gunnar’s lecture offered twice over the course of this year’s festival. You can also enter to win five days of guided fishing, complete with lodging at this year’s Texas Fly Fishing & Brew Festival. Jason Randall, Temple Fork Outfitters national pro-staffer, has been an outdoor writer for the last 16 years. His feature articles appear regularly in American Angler, as well as Fly Fisherman, Eastern Fly Fishing, Northwest Fly Fishing, and many other outdoor magazines. His first book, Moving Water: A Fly Fisher’s Guide to Currents (2012), studies the effects of current on trout, their prey species, and presentation, where vertical layers of current create drag and require adjustments to improve nymph fishing success. His second book, Feeding Time: A Fly Fisher’s Guide to What, Where and When Trout Eat (2013), focuses on matching your fishing strategies to the trout’s feeding strategies, especially when targeting large trout. His third book in the ‘Fly Fisher’s Guide’ trilogy, Trout Sense: A Fly Fisher’s Guide to What Trout See, Hear and Smell (2014), offers anglers the opportunity to know more about the quarry they seek. Randall’s fourth book, Nymph Masters: Fly Fishing Secrets from Expert Anglers, explores the depths of nymph fishing and advanced nymph-fishing techniques and incorporates tips and ideas from some of the leading experts in nymph fishing. He will be teaching a specialty class on nymphing at this year’s festival. Nate Stevane, who comes from a line of Montanans that stretches back to the country’s homesteading days, has been fishing the Big Sky State’s premier trout waters–like the Bighorn, Yellowstone, Stillwater, and Boulder rivers–all his life. At 13 he picked up his first fly rod, and he has been addicted ever since. Stevane began guiding in 1999, and even met his wife on the Gallatin River. He is the owner and operator of outfitter Trout on the Fly, which introduces anglers young and old, beginner and veteran fly fishers, those with disabilities, large groups, and clients suffering from terminal diseases to Montana’s big water to make memories that last a lifetime. Aquatic Biologist Peter Stitcher is the owner of Ascent Fly Fishing and River Oracle Inc. As a biologist, Stitcher works across the United States in the assessment, restoration, and management of trophy trout waters. Approaching the sport of fly fishing through the lens of a biologist, he strives to break down the sciences of entomology, fish feeding behavior, and fish habitat use into easily applied fishing tips and tactics for the fly fisher. Armed with an extensive invertebrate database and more than 400,000 flies, Stitcher and his team at Ascent specialize in the creation of Biologist Crafted Fly Selections specific to the trout foods and their life-cycles when and where you fish. Stitcher also just released his first film titled Creating Order in Your Fly Box, and is a regular contributor to High Country Angler Magazine. ALL NEW! Stitcher’s unique “Mayflies and Microbrews” is a specialty, two-hour-long class held once each day of the festival. Each student will receive 10 trout flies and a ticket for a Texas microbrew (participants 21 years and older only) to enjoy during class. Students will learn how to quickly identify which insects are most prevalent in the river they fish, and how best to match the hatch. This class has limited seating and operates on a first-come, first-served basis. The class fee does not include admission to the festival. Mike Tayloe is the co-owner and Director of Operations of Finns West, a unique company in the fly fishing industry that provides Wilderness First Aid courses and Emergency Action Plan development for fly fishing lodges, outfitters, guides, and staff. He has combined his professions as a paramedic and fly fishing guide to provide a much-needed and often overlooked service for our industry. Tayloe has been providing remote medical support and wilderness medicine education as a wilderness/remote paramedic for over two decades, from Mount Everest to Antarctica. He guides for several outfitters in Colorado and spends his winters in Chilean Patagonia guiding for Lakutaia Heli Fishing Lodge on Cape Horn. New at this year’s festival is Tayloe’s Freestone First Aid class offered on Friday, March 22. This daylong course is perfect for guides and serious anglers who want to be prepared to respond to emergencies that occur on the river or in remote fishing locations. This course has very limited seating and includes training in CPR and admission to the festival. Timothy Urtiaga is the head guide and owner of Eagles Nest Fly Shack & Lodge. With more than a decade of experience in fly design and guiding, and with as much as 250 days a year on the water, Tim knows a thing or two about fly fishing for pike. Tim’s prowess as a guide has been featured in national publications like Southwest Fly Fishing and we’re pleased to have him presenting again this year. Don’t miss Tim’s talk on the history, biology, and techniques of fishing for trophy pike on the fly. After this talk, be sure to stop by Tim’s booth, and pick up the patterns and gear you’ll need to land a pike of a lifetime. From his very first article in Field and Stream in 1968, Dave Whitlock has contributed his flyfishing art, photography and writing to many publications such as TU’s Trout Magazine, Flyfisherman Magazine, Fly Fishing and Tying Journal. He has written and illustrated five books: Dave Whitlock’s Guide to Aquatic Trout Foods; the LL Bean Fly Fishing Handbook, the LL Bean Fly Fishing Handbook for Bass; Trout: A Compact Guide for Fly Fishers and Imitating and Fishing Natural Fish Foods for Lefty’s Little Library. In 2018, Dave and Emily together completed their new book titled Artful Profiles of Trout, Char and Salmon and the Classic Flies that Catch Them. Dave has also co-authored or made contributions to many other books, including The Fly-Tyer’s Almanac; The Second Fly-Tyer’s Almanac; Art Flick’s Master Flytying Guide; McClane’s Fishing Encylopedia; Migel’s Stream Conservation Handbook and Masters on the Nymph and others. He has illustrated over 25 books including Steve Raymond’s Year of the Trout; Swisher and Richard’s new edition of Selective Trout; plus President Carter’s Outdoor Journal. Dave also demonstrates his flyfishing and teaching skills in seven videos and through guest appearances on televised flyfishing programs. One of Dave’s most notable contributions to wild trout management and preservation is the Whitlock-Vibert Box System — an in-stream trout egg incubator and nursery devise. Dave spent 7 years researching and developing this system. Today, under the sponsorship of the International Federation of Fly Fishers, the Whitlock-Vibert Box program is used throughout the world for introduction or enhancement of wild trout, char and salmon stocks. 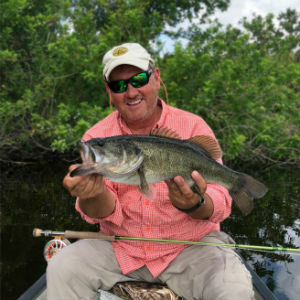 Dave’s experience and his devoted and objective outlook on the whole spectrum of flyfishing has earned him consulting assignments from top companies such as Scientific Anglers, GLoomis Rods, Sage Rods, Simms Fly Fishing Products, LL Bean and Bass Pro. He also designed and directed the first 10 years of the LL Bean Fly-Fishing Schools. Dave has been inducted into the National Fresh Water Fishing Hall of Fame, the Arkansas Game& Fish Hall of Fame, the Fly Fishing Hall of Fame, the Trout Hall of Fame. Fly Fisherman Magazine recently included Dave as one of the ’50 Most Influential Fly Fishers in the Last 5 Decades’. We are honored to have Dave and his wife Emily join us at this year’s Texas Fly Fishing & Bew Festival. Dutch Baughman serves on the Fly Fishers International Board of Directors and Executive Committee, and is the Chairman of both the FFI Education Committee and Learning Center Fly Fishing Skills Resource Area. He is also responsible for developing the FFI Education program and Learning Center. Baughman is a demonstration fly tyer at prominent fly tying events across the country. He authored the FFI Comprehensive Introduction to Fly Fishing class, and teaches the same class at Tarrant County College, near his home in Southlake, Texas. Baughman is particularly passionate about fly fishing for Pacific Northwest Steelhead and casting two-handed rods. He fishes regularly in Texas, Montana, and other destinations. We are fortunate indeed to have such a talented fly tyer and instructor at this year’s festival. Matt Bennett is a full-time commercial fly tyer and the owner of Fly Geek Custom Flies. He most enjoys both tying flies and fishing for the native bass species of the Texas Hill Country, and although most of his flies were created to fool these specific quarry, his patterns have a broad appeal. Matt has fished the waters of southwestern Colorado since he was a teenager and especially enjoys chasing native cutthroat trout in creeks throughout the San Juans. He is a member of the Umpqua Feather Merchants Signature Fly Designer program, and his initial pattern, Bennett’s Lunch $, is available in fly shops all over the country. Matt currently serves as the Conservation Chair of the Austin Fly Fishers, the Vice President of the Texas Council FFI, and was awarded the 2015 Charles E. Brooks Memorial Award by the International Federation of Fly Fishers. He resides in Austin with his wife Amanda and Welsh Corgi Winston. You can view more of his work at his website flygeek.net or on Instagram @flygeekmatt. Jim Bensinger is a former Marine and the owner of Fiber Flies Dubbing. Obsessed with all things fly fishing—and especially fly tying—Bensinger has developed a line of materials derived from Alpaca. This material is perfect for dubbing. Amateur fly tyers will love it. Stop by Jim’s booth, and let him show you how it works. Bensinger is also on the Regal Vice pro-staff and will be demonstrating their use at the festival. Kit Brown was raised in the Catskills and grew up fly tying and fishing the best streams on the East Coast, including the Beaverkill and the east and west branch of the Delaware River. Since then Brown has fished almost all of North America–and hopes he can complete that monumental task before he dies. He began tying Catskill pattern dry flies and eventually moved on to nymphs to catch more trout. Subsequently Brown developed–and continues to design–his own patterns, many of which are on his website tied2fly.com. Today Brown guides on the Lower Mountain Fork River with Beavers Bend Fly Fishing Guide Service and Chris Schatte. Fred G. Hannie Sr of Lake Charles, Louisiana, specializing in imitative or realistic fly tying, is the recipient of the FFI Charles E Brooks lifetime achievement award. He is the author of Fly Tying with Monofilament (2015) as well as numerous articles published in various fly fishing and fly tying magazines. His flies have been commissioned for both the Catskills and American fly fishing museums. Most recently his flies have been used as props in both television and feature films. As part of his design process he often sketches out the insect he intends to mimic and turns these sketches into watercolor paintings to accompany the mounted flies in frames, thereby combining two art forms. Hannie is also a member of the Copic Sketch Marker Fly Tying Team. You can find Hannie on Facebook (Flies of Fred Hannie) and Instagram or email him at hannief@bellsouth.net. At eight years old, Braden Miller taught himself to tie flies by watching Youtube and Instagram videos. Now 13, Miller has traveled the country chasing fish with his TFO fly rods and hand-tied flies. Current fave prey: muskie! He has tied flies at the Fly Fishing Expo in New Jersey and Pennsylvania, Lefty Kreh’s Tie Fest, and The International Fly Tyers Symposium. Miller was the youngest competitor in last summer’s iCast Iron Fly Competition in Orlando, and tied flies for the Project Healing Waters 2-Fly Tournament at Virginia’s Rose River Farms. This year he started a fishing club at his middle school, and with the support of his principal and science teacher, helped bring in Trout in the Classroom, which teaches students about fishing and conservation. Miller is TFO’s first Junior Ambassador, a Norvise team member, and an ambassador/pro-staff member for Fly Life Company, Flymen Fishing Co., District Angling, Fair Flies, and most recently, Catch Cam Nets. Follow Miller on Instagram at flyfisher0906, on Facebook as Braden.Miller.0906–and watch for his upcoming YouTube channel! Chris Schatte began fishing on Inks Lake in Burnet, Texas, before setting it aside to pursue marriage, family, and business. About a dozen years ago Schatte and his wife decided to actively engage in their favorite pastimes again–and for Shcatte, that meant a return to the water. Since then he has been fly fishing and fly tying, and feels blessed to have been included in the book America’s Favorite Flies by Rob Carter and John Bryan. He has spent years traveling the West and Southeast fly fishing the nation’s scenic rivers. Schatte relocated not long ago to Broken Bow, Oklahoma, and the Lower Mountain Fork River. He was a two-term board member of the Lower Mountain Fork River Foundation and is a member of Friends of Beavers Bend. In addition to fly fishing, Schatte is passionate about conservation, and is particularly interested in protecting (and preserving through fly tying) healthy hatches on the river.